Enphase is great for getting started with solar power! With the Enphase Inverter Solar Power Systems, we pair Enphase M250 Micro-inverters with UL listed tier one solar panels to give you an NEC compliant system that will last for years to come. Choosing an Expandable Enphase Micro-inverter system will allow you start out small and expand as you are able. You can literally add one panel and one micro-inverter at a time. With a traditional solar panel system, you need to anticipate power needs for your home or business during the initial design process. The inverter must be initially sized for expansion (which is more costly) or replaced at the time of expansion. You also maximize your power output with Enphase micro-inverters systems. Unlike traditional solar power systems, each solar panel works independently. If one panel goes down, or is not performing well, the rest of your panels can still be working at optimal output. 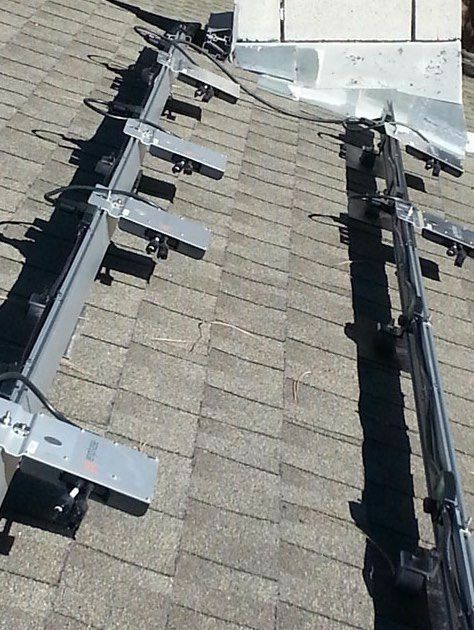 With a traditional system, if one panel goes down, your entire series of solar panels will also be out of commission. You can get started on your grid-tie solar now system for less than $1,290 (before possible rebates and a 30% Federal tax credit). Call us at 1-800-472-1142 to find out more about these systems. The Enphase Starter Kits are the perfect way to get started with solar. These systems include American-made IronRidge XR100 roof mounting rail system. Since it is an expandable system, you can add one solar panel and one microinverter at a time. Find out more. Give us a call at1-800-472-1142. An Enphase microinverter on each panel ensures that the system as a whole continues to perform well, even if one or more individual panels are shaded or malfunctioning. Each panel works independently, increasing system output efficiency and resiliency. Learn more about how microinverters work from Enphase.com.